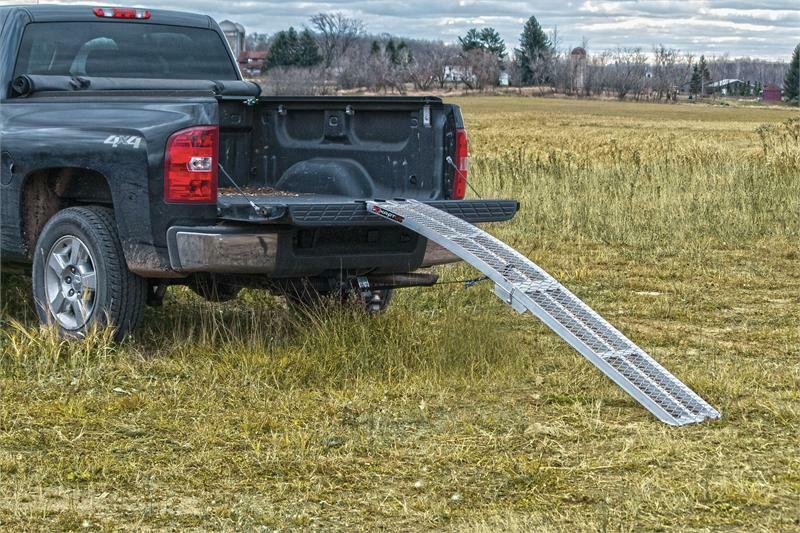 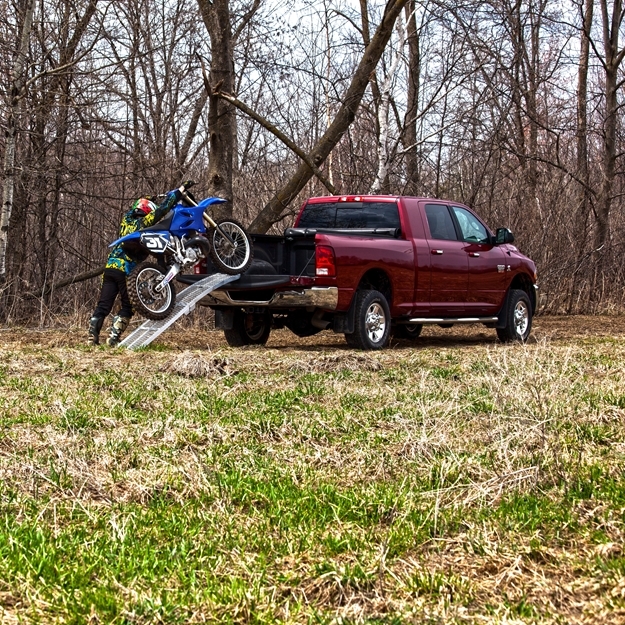 The most versatile and best-selling Yutrax model is now available as a single ramp for two wheel applications, like dirt bikes. 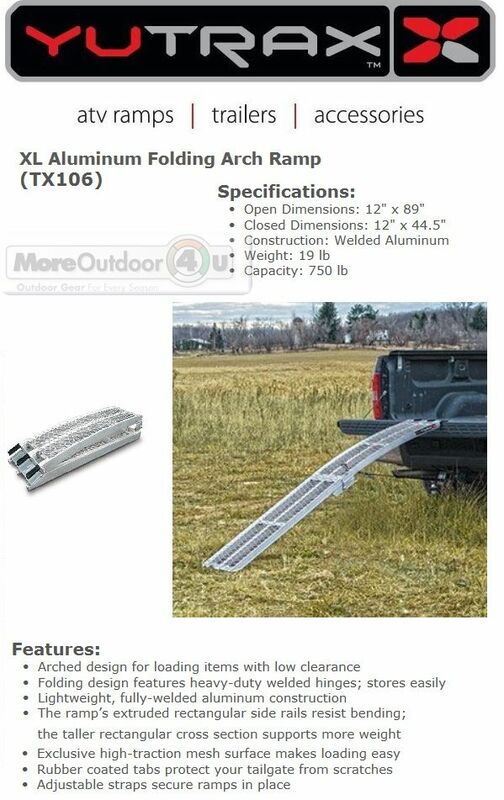 The portable TX106 aluminum folding arch ramp features a compact folding design that is perfect for use when storage room is a must. 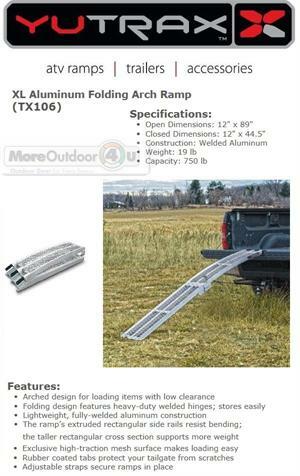 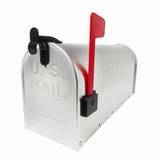 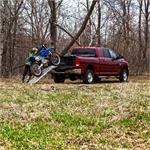 The extra length, high-traction mesh, and arched design make them ideal for loading with low clearance. Open Dimensions: 12" x 89"
Closed Dimensions: 12" x 44.5"